What you get by achieving your goals is not as important as who you become along the journey. Nothing can stop the man with the right mental attitude, yet many times self doubt and negative thoughts or situations can cause us to lose hope or even give up altogether.Wreck The Rebel and VerseBorn link up to deliver “ Keep Pushing”, a motivational reminder for everyone going through hard times, that they are not alone. 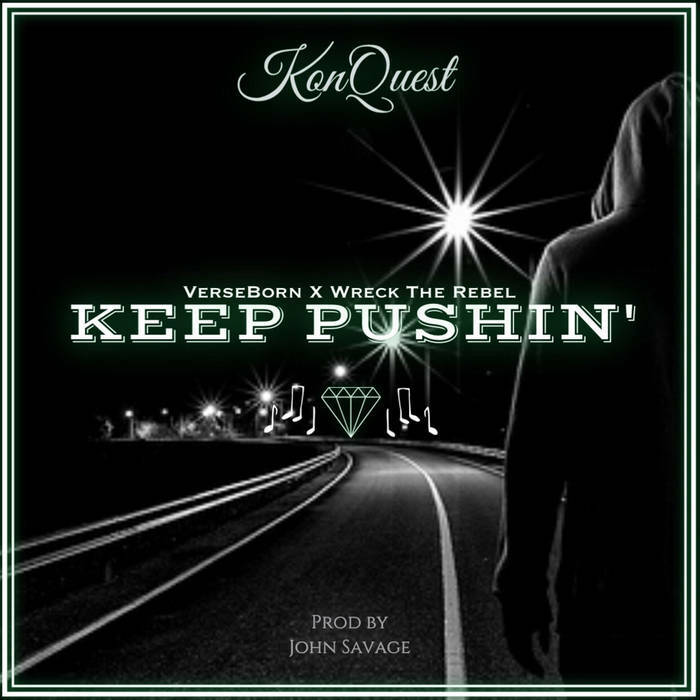 The KonQuest mc’s deliver vivid real-life examples of events and situations that could have deterred them from their path, yet they continue to “ Keep Pushing“ towards their dreams.